Adult Unicorn Dress - with dress and headband. 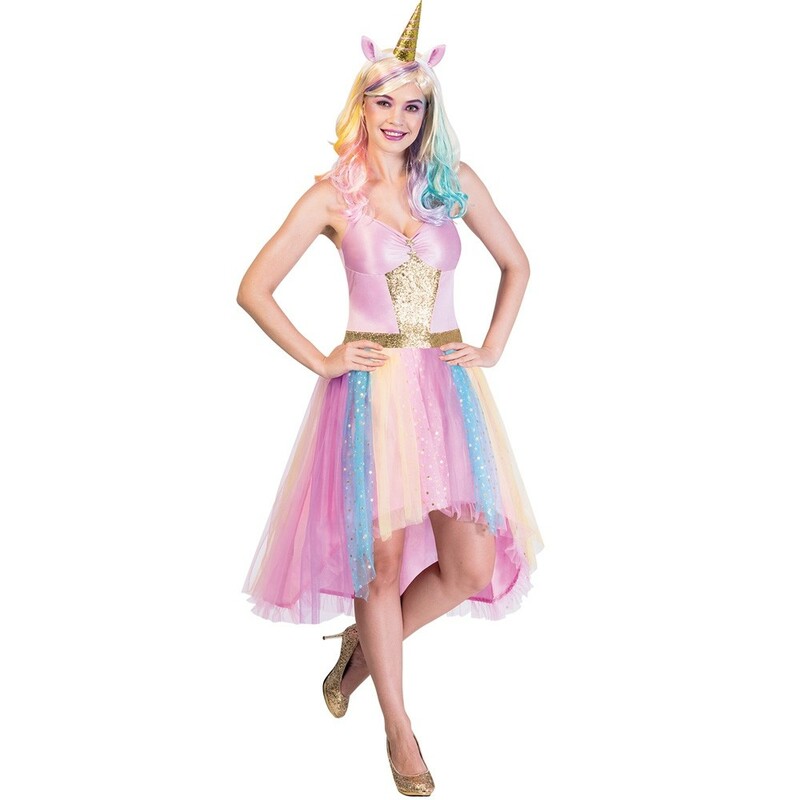 Adult Unicorn Dress- Our Adult Unicorn Dress features a tutu style skirt on a pink and gold bodice. The layered tutu skirt has diamante attached for that extra sparkle. This Adult Unicorn Dress costume also comes with a unicorn horn and ears on a headband to complete your fantastical ensemble! Available in Women UK Dress Size: 8-10, 10-12 and 14-16. A Dress with Unicorn headband.